This entry was posted in Articles and tagged auditions colorguard marching band new members on May 28, 2015 by gsbands.org. C. Ankney, M. Buffone, S. Davis, M. Dreistadt, S. Hauer, H. Pedder, C. Price, G. Reed, K. Reed, C. Straka, L. Strohecker, S. Vogel, K. Werts Captains: H. Pedder and M. Dreistadt Congratulations! 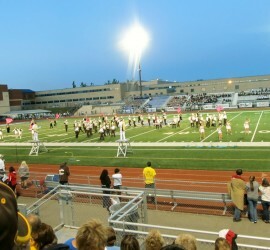 This entry was posted in Articles and tagged Leadership marching band on May 27, 2015 by gsbands.org. This entry was posted in Articles and tagged auditions majorettes marching band on May 27, 2015 by gsbands.org. The majorettes for the 2015-16 season will be: A. Blend, S. Brady, A. Coffen, P. Jozefowicz, S. Kaufman, E. Kelly, M. Stouffer, A. Venturini. Our captain is M. Stouffer. Congratulations, ladies! This entry was posted in Uncategorized on May 19, 2015 by gsbands.org. Dance Team auditions were held last week, and the members selected were: A. Andrasko M. Burkhardt K. DiCriscio E. Faulk A. Johnson M. Lewis C. Simpson E. Skidmore We will announce leadership for the Dance Team shortly – stay tuned!